Kombucha, a fermented, effervescent beverage, offers a blend of nutrients, enzymes and healthy bacteria that can support critical functions in the body. 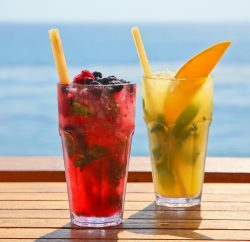 When it comes time to reach for a beverage that’s brimming with health benefits, most people opt for a green juice or smoothie. But kombucha, a tea-based, fizzy drink that is thought to have origins in ancient Chinese cultures, is rising on the ranks of good-for-you liquids that make it easier than ever to drink to your health. 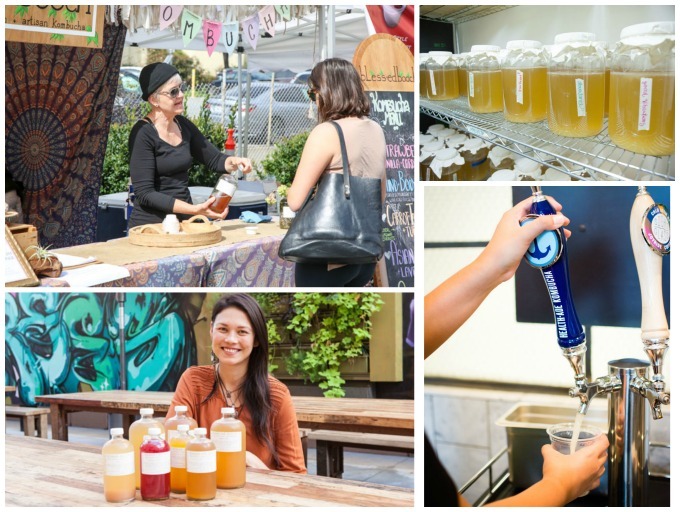 Locally, kombucha is available on tap, at the weekly Laguna Beach Farmers Market and even through personalized at-home delivery services. And while it’s become somewhat ubiquitous, most people still don’t quite understand exactly what kombucha is—which makes sense, considering the fact that it’s not your average refreshment; rather, it’s a somewhat pungent beverage made with a living element called a SCOBY, or symbiotic culture of bacteria and yeast. Kombucha is typically made with a mixture of black or green tea and sugar, to which the SCOBY, also referred to as the “mother culture,” is added. Next, the concontion goes through the fermentation process, which can last anywhere from five to 15 days, depending on a variety of factors like the temperature of the air. In most cases, before it’s ready to be consumed, natural flavors are added during a second round of fermentation to enhance the drinking experience. Because of its unique taste and properties, kombucha isn’t exactly everyone’s cup of tea. But many holistic health and wellness practitioners believe in its benefits, saying that it has the power boost immunity, improve gut health and more. Here, local experts and kombucha producers explain how it’s made, where you can get it and why it’s worth sipping. Clockwise from left: Dana Crawley, founder of Laguna Elixir, checks on a batch of her kombucha in the fermentation process, which can take seven to 30 days, then pours a finished batch into bottles, which she delivers to clients’ homes. When we think about our overall health and wellness, the term “gut health” doesn’t typically come into play; rather, things like exercise and nutrition first come to mind. But, according to Dr. Rebecca Rootlieb, a Laguna Beach resident who runs a local holistic family medicine practice, it’s a crucial component of the bigger picture. “A healthy digestive system is the foundation for good health, not only because 70-80 percent of our immune system lines the gut, but also because of what a healthy microbiome can do for you. The microbiome is the 100 trillion or so bacteria in our guts, and we have begun to really appreciate the far-reaching effects that an unhealthy, imbalanced gut flora can have,” Rootlieb says. “… There are many factors to take into consideration when trying to improve gut health, and rebuilding the microbiome with healthy, beneficial bacteria, is a very important aspect. Some of the staples for doing this are fermented foods like kimchi, sauerkraut and kombucha,” she adds. And kombucha, according to Rootlieb, is extremely beneficial in that it delivers probiotics, or living microorganisms, which play a big role in healing the gut. Additionally, it contains antioxidants, gluconic acid, which helps detoxify the body, B vitamins and enzymes, which aid in digestion. 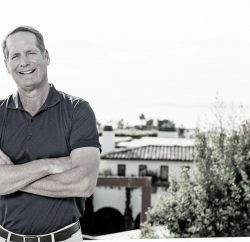 The importance of gut health and the idea that we can eat and drink our way to improved wellness has long intrigued Laguna resident Dana Crawley. 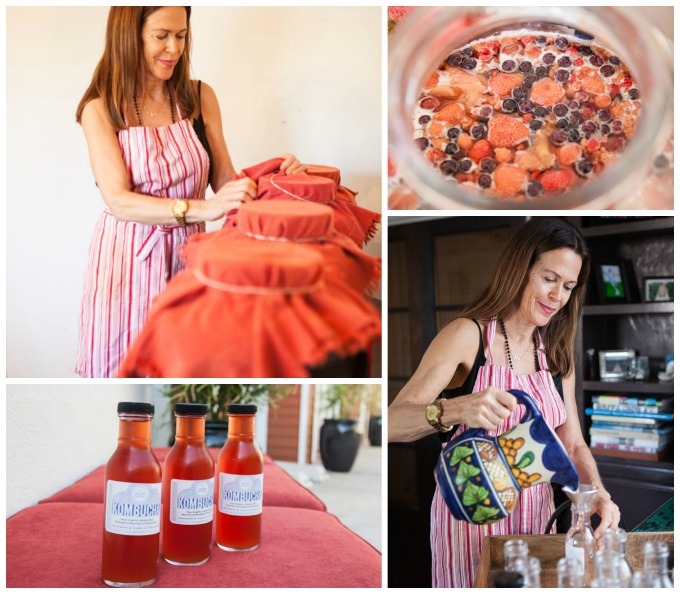 An avid athlete, certified holistic health practitioner and raw food chef, Crawley started Laguna Elixirs in 2015, a company that makes and delivers kombucha and other healthful, raw and organic foods and beverages, to clients’ homes in the area. 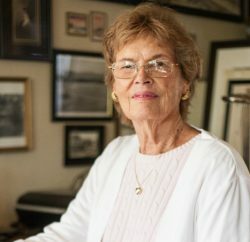 A long-distance and marathon runner who has also coached the cross-country team at Laguna Beach High School, Crawley explains that she was inspired to start studying nutrition—at both the Ann Wigmore Natural Health Institute in Puerto Rico and the Diet for Living School in Albuquerque, N.M.—after her eyes opened to the overall “degree of sickness in our world,” especially as it pertained to the prevalence of cancer and disease among Americans and even among her own peer group and fellow athletes. Crawley is also a certified cancer coach and chef who has studied how to help people realign their diets to aid in battling cancer. Kombucha is one of the first things that Crawley will recommend to clients who are looking to change or clean up their diets. In fact, she calls it a “gateway” item that’s become increasingly accessible and can help people kick unhealthy habits or addiction. For example, kombucha can take the place of someone’s nightly glass of wine or daily can of beer or soda. “… I think of it as a tonic, to hydrate the body, to provide probiotics …,” Crawley says, adding that the beverage also helps boost energy and combat sugar cravings. “It’s best to have kombucha between meals, not with the meal, as a little … elixir, for hydration, to alkalize the body, to provide those raw enzymes,” which, according to Crawley, also help the body absorb nutrients and detoxify. And, while Rootlieb and Crawley both agree that fermented foods and probiotics are incredibly beneficial for the body, they also note that kombucha isn’t for everyone. Those with underlying conditions like irritable bowel syndrome, a compromised immune system or women who are pregnant or breastfeeding, for example, should use caution or consult a doctor before imbibing. “Fermented foods and probiotics play a big part in our gut-healing protocols, but some patients need to go through a healing process first, [and] then build up their intake of fermented foods, fiber and probiotics,” Rootlieb says. For those interested in trying or adding the beverage into their health and wellness routine, Crawley’s company is set up like a food club, where clients can order weekly deliveries of the healthful drink. Crawley makes small, handcrafted batches of kombucha, taste-testing it along the way to guarantee quality and low sugar quantities. She starts with a blend of organic green and black tea, filtered water and organic sugar, and then adds in the SCOBY, which feeds off of the sugar and caffeine. When the mixture is fermented (it sits in a 5-gallon glass jug for anywhere from seven to 14 days), beneficial probiotics and organic acids and vitamins have formed. Next, the SCOBY is removed so that the mixture can go through a secondary fermentation process, which creates more natural carbonation and involves the addition of organic berries to flavor the kombucha. Roughly five to seven days later, she’s ready to strain and bottle the liquid. Crawley also offers kombucha-making classes to locals who are interested in learning more about the beverage, and, new this year, Laguna Elixirs products will be available at the recently Yoga Sapien yoga studio in north Laguna, just a block from Crawley’s home. Meanwhile, Christy Rumbaugh, also a Laguna resident, swears by the healing powers of kombucha—so much so that she, too, started making the drink herself. She says that since she’s become an avid kombucha drinker, she never gets sick, has ample energy and doesn’t need to drink caffeine, and her gastrointestinal tract is always functioning well. And, to put it simply, she just likes how it makes her feel. “I kind of describe it to people as this, like, kombucha high. … It kind of gives you this extra little boost of something that you can’t really put your finger on, and it just makes you feel so good,” she says, adding that she started making her own kombucha when she found it relatively difficult to find fresh batches of it in town. But it was an easy hobby for Rumbaugh to fall into for other reasons. “Over the years, I’ve always had an affinity for being creative with food and being in the kitchen. I’ve always wanted to do something with it but never really could decide on what direction to go,” she explains. Rumbaugh was able to procure some cultures and a starter kit and begin making her own kombucha, and, in fall 2015, after having shared countless batches with family and friends who encouraged her to start selling her product, she launched Blessed Booch. “It’s so good for you to be able to share something that can really benefit the people you’re sharing it with,” says Rumbaugh, who has been selling her kombucha at the Laguna Beach Farmers Market since October 2015. 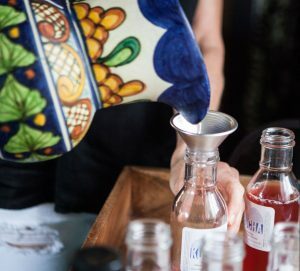 “One thing that’s been really cool is being at the farmers market and getting feedback from other people’s personal experiences with kombucha,” Rumbaugh says, adding that, for example, elderly customers will tell her that since they started drinking kombucha, they no longer have to take probiotic supplements. Today, Blessed Booch makes about 200 one-gallon glass jars a week with roughly 15 different flavors in stock at any given time; one of the most popular varieties is an apple, beet and ginger blend, which results in an eye-catching fuchsia hue that Rumbaugh says basically flies off the shelf. Rumbaugh rents a kitchen and storage space for her very hands-on production process, which she refers to as “farm-to-bottle.” The fermentation process takes roughly three or four weeks, and she incorporates five different tea bases, including Darjeeling and yerba mate. Currently, Rumbaugh offers five different flavors on tap at the Laguna Beach Farmers Market each Saturday, as well as kombucha in 16- and 32-ounce bottles. And, in addition to a personalized home delivery service, bottles of Blessed Booch are available at select locations around town, including Zinc Cafe & Market, Pearl St. General, Jan’s Health Bar and Kitchen in the Canyon. At Laguna’s Project Juice, kombucha, which is poured fresh from the tap, perfectly complements the eatery’s raw, organic, plant-based foods and cold-pressed juices. Marra St. Clair, a board-certified nutritionist, holistic health coach and co-founder of Ritual Wellness—which merged with Project Juice in 2015 to become the West Coast’s largest purveyor of USDA-certified organic, cold-pressed juices—is a big proponent of the drink, which she emphasizes has B-vitamins that are essential to energy production. And St. Clair explains that opting to offer Health-Ade Kombucha on tap at Project Juice was a no-brainer for the company. “We chose Health-Ade as our partner for kombucha because they blend their kombucha with organic, cold-pressed juices, which is obviously something we stand behind,” St. Clair says. “We chose to do kombucha on tap because it’s easy to pour and serve, and helps us continue toward our model of sustainability. It can help us create less to throw away, and makes it easy for us to mix with Project Juice blends for a custom drink.” In addition to offering original Health-Ade Kombucha, Project Juice also gives customers the option of pairing the drink with its Immune Boost shot, a mix of orange, lemon, ginger, turmeric, cayenne, echinacea and reishi mushroom, for the ultimate good-for-you beverage. But kombucha clearly stands well and boasts plenty of benefits on its own, as evidenced by the drink’s increasing popularity. For those looking to add in some additional probiotics, healthy nutrients and enzymes into their diets, there are countless different menu items to try around town. The frozen yogurt options at Active Culture are chock-full of millions of live and active probiotic cultures. And the chocolate and vanilla flavors, which are both organic, are so creamy and delicious that you won’t even realize you’re eating something that promotes gut-health and digestion. 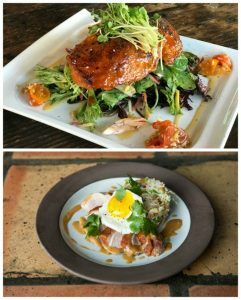 At Starfish Laguna, the Shiro Miso Salmon Salad bursts with savory umami flavors and healthy microbes. The salmon is marinated and broiled in miso, a fermented paste made with soybeans and sometimes rice or barley, and drizzled with a sesame-miso vinaigrette. Kimchi, a Korean dish similar to sauerkraut and made with fermented vegetables (typically cabbage or radish) can be found in the Duck Loco Moco dish, alongside fried rice, spicy gravy, cilantro, egg and confit, at 370 Common Kitchen & Drink.